Food Technology Asia is a one-stop event for products in Agriculture, Poultry, Fishery, Meat, Milk, Bakery, Drink, & Seafood. This is a unique opportunity to see what the international and local industry has to offer and to check out the latest products and innovations in the regional market. This year the Forum will feature development forecasts for regional markets of food products, major trends in trade and food policy, trends and development prospects of demand for food and agricultural products. 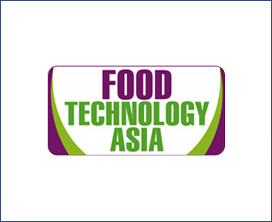 Food Technology Asia is the region’s most important and established event providing a unique business platform for manufacturers, importers, retailers, wholesalers and suppliers to network and establish business contacts with decision makers and influencers. The Food Technology Asia promises to be an enriching & prolific opportunity for buyers and exhibitors alike. Food industry decision makers and authorities from around the region are attracted to this annual B2B trade focused fair that presents a wide range of the latest and most current innovative food & beverage trends amalgamated with quality business opportunities. Key international and regional suppliers will be displaying their latest products & services throughout the three days.